It’s no secret that mayonnaise can make salads flavorful and sandwiches tasty and moist. But did you know that a jar of mayo can also help you look more beautiful? After whipping up a delectable treat with this thick and creamy condiment, use it to dazzle. 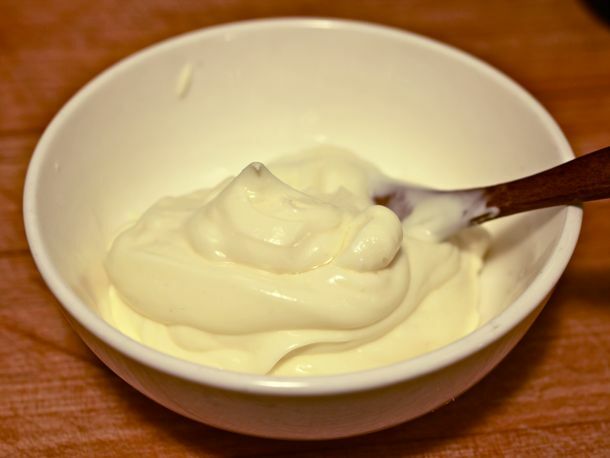 Read on to know the various ways you may employ mayonnaise to look your best. Your favorite hair conditioner may work really well, but eventually it may leave a buildup of some of the harsh chemicals it contains. From time to time, reach for that jar of mayonnaise instead. Apply generously on your scalp and tresses, and put on a shower cap. Wash off with water after a few minutes and shampoo. Doing this on a regular basis helps remove chemicals that your various hair care and styling products leave behind. Also, it will make your tresses shiny. Who needs to have facial services done by a professional that costs a fortune when you have a jar of mayo in the fridge? Apply it on your face, relax and wash off after a few minutes. Mayonnaise contains eggs that help repair skin as they are packed with protein. Mayo also contains vinegar that helps exfoliate the skin and lighten those dark scars pimples leave behind. If you are like most women who take their fingernails very seriously, you know that having strong and healthy nails is one of the secrets to enjoying a gorgeous manicure. Strengthen soft and brittle nails by dipping them in mayo for a few minutes. The vinegar content of this well-loved salad dressing and sandwich spread also helps deal with nail discoloration. Embarrassed with your rough and dark elbows and knees? Worry not because a cheap and perfect solution can be found right in your kitchen. Simply apply generous amounts of mayo on the problem areas. Mayonnaise helps exfoliate and smooth rough elbows and knees. This quick fix also helps lighten those dark areas because vinegar in mayonnaise has a mild skin bleaching effect. Excessive dryness may leave your skin flaky and wrinkly too. A quick way to get those dried up skin cells hydrated is by applying mayonnaise on the affected areas. Mayo contains oils that help supply your skin with plenty of moisture. Allow the thick and creamy dressing to stay there for a few minutes before rinsing thoroughly with water. There are moments when you get too excited sunbathing or engaging in outdoor activities that you lose track of time while baking under the blistering sun. Soothe painful sunburned skin with mayonnaise, in particular one that’s been chilled in the fridge. Applying mayo can help in easing that stinging sensation and reduce the inflammation. Scared to wear flip flops in public because of dry and cracked feet? Smearing mayonnaise on problem areas can help you feel more confident as the condiment helps make your feet look lovelier over time. Mayonnaise removes dead skin cells, soothes cracked skin and hydrates dry cells effectively.